The Wilmette buoy returned to Lake Michigan earlier this week. But a few days before it departed, several of its biggest admirers stopped by to meet it at Lloyd Park in Winnetka, Illinois. Wil, as some of the IISG scientists call it, lay prone in the parking lot withstanding the blustery winds and cold temperatures. The ugly weather didn’t stop the 10 or so Chicago-area sailors from coming to the open house, leaning in close and examining the body of the machine they’ve come to rely on after only one season. One remarked at how much smaller it was than he thought. Others stood and posed with it for pictures. It’s hard not to anthropomorphize the buoy. Once in the water, the weather and lake condition data and images it provides are like sage advice coming from a reliable friend.  The buoy might not have made it in the water without the help of Laurie Morse of Glencoe, Illinois, who along with Purdue University, helped secure a grant to fund it. “We have already noticed since it’s been in the water since 2015 that it’s made a difference in the quality of our marine forecast and it’s really important to all us recreational boaters,” said Morse, who was with her husband at the open house. 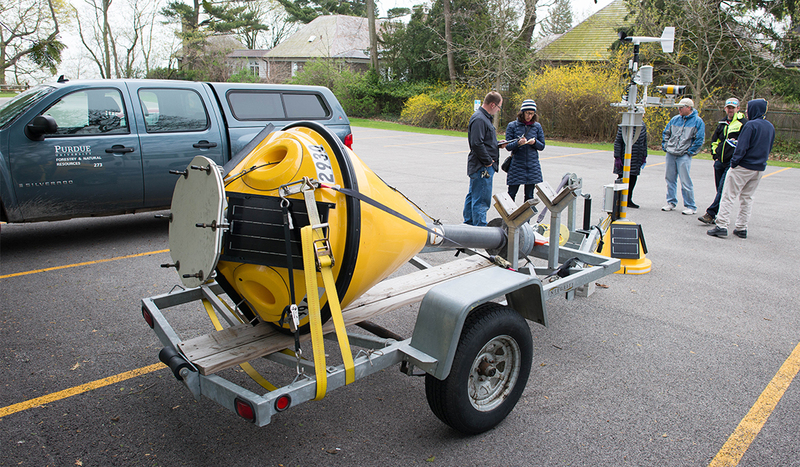 Jay Beugly, IISG aquatic ecology specialist, and scientists Ed Verhamme and John Bratton from LimnoTech, organized the open house and were on hand to talk about all the nearshore environmental-sensing this bright yellow, 610-pound buoy is capable of.